Speak now, or forever hold your piece. Last week, a friend asked me to give him feedback on a piece he’d written and performed to camera. As he’s not yet ready to go public with it, let’s call him Jack. I would have given him honest feedback if it had been no good; I don’t think it helps to give praise unduly. I listened to it a few times to determine whether it stood up to repeated listenings, and to listen carefully to the words and their meanings. I concluded it was almost ready for a live audience, and I gave him tips about how it might be improved. It’s hard to define performance poetry. Some pieces work equally as well on the page as on the stage. Spoken word also falls somewhere between rap and stand-up comedy. Rap generally relies on wordplay and repetition, while stand-up is often infused with the comic’s personal experience, and both elements can be present in performance poetry. While I don’t have a catch-all answer, there were three elements in Jack’s piece that – in my opinion – made it suitable for performance. Firstly, he started with a strong image and good use of internal alliteration. The first line alone revolved around ‘L’ and ‘T’ sounds. As we moved on, we began to hear more alliteration, plus complex and slant rhymes. A great example comes from the Eminem track Stan. This video starts at lines where the rapper has stacked up the ‘ee’ sounds of ‘dream’, ‘sleep’ and ‘scream’, but the piece as a whole is largely lines of a regular length with an often-slant AABB rhyme scheme. You can see this when the lyrics are written on the page. Secondly, Jack took his opening lines and repeated them near the end, although not verbatim. This type of repetition can be vital tool in performance, as it helps to cement ideas in the mind of the audience. More regular repetition can be used to create an onomatopoeic effect, but be sure to do it consciously, as random repetition can sometimes feel as though the poet is trying to pad out the words. I can think of two great examples. The first piece is safe for work: Francesca Beard with The Fluffy Song, with a reputation helps bring out the voice of the eponymous dog. The second piece is decidedly NSFW: John Cooper Clarke performing Evidently Chickentown, where the swearing lends the effect of a hen clucking. Thirdly, Jack’s voice in the video infused the piece with a different slant benefit had been read on the page. It wasn’t in his normal register, but reminded me of Murray Lachlan Young: rich and defined with an intentionally snobbish undercurrent. Of course, anyone who reads a performance piece will bring something to it. Andrea Gibson is quite the opposite of Young, packing a lot into a poem and rattling through it with barely any time for breath. There’s no wrong way of performing, as long as you aren’t forcing yourself to do something unnatural. When Jack is ready to go public with his work, I’ll post it here and I’m sure you’ll see what I mean. Between my MLitt essay and the EP, my submissions to publishers had been put on hold. Now I have the time to submit material, I’m sharply reminded of how slow the process can often be, and it’s the exceptions that prove the rule. I submitted to two places that said they would give a response within approximately two days, and they both kept their respective promises. But because they’ve been so quick, it makes the other two seem painfully slow as I won’t hear from them for between two and six months. It’s common to find publishers that use Submittable, a website that provides a semi-standard way of submitting work and tracking your correspondence. I rather like doing it this way. For instance, I’ve had to send in a query to an editor as two of my pieces have been outstanding for six months with nothing more than an acknowledgement. However, if I don’t receive a response in a reasonable timescale, Submittable allows you to withdraw your work. I also like the ability to attach Word or PDF documents, or whichever format the publisher wants. It’s a personal view, but I dislike having to paste my work into the body of an e-mail. Many writers use Word or Scrivener, or a number of other programs. Whenever you copy from a program, the formatting often goes pear-shaped after pasting. When pasting into Gmail, I sometimes find the line spacing changes to 1.5 and can’t be altered, or the font changes and can’t be harmonised. Ctrl+Shift+V will paste the text without formatting, but you then have to reinsert any bold or italics, or unusual spacing. 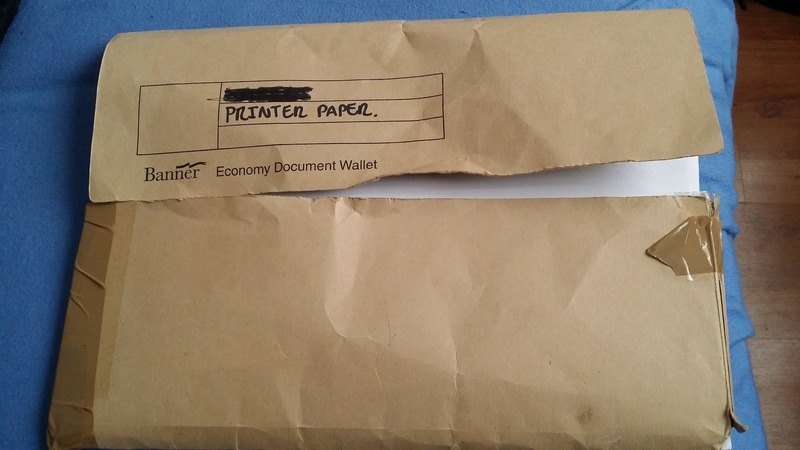 Another pet hate is a requirement to submit by post. The cost of postage is an irritation, although my main concern is how much paper must be wasted in the process, as editors select only a fraction of the material submitted. It seems an archaic practice in the age of electronic communication. If I ever have to print a document and notice a mistake, I keep it in a folder so I can print on the blank side in the future. Any paper that can’t be reused goes into the house recycling bin. 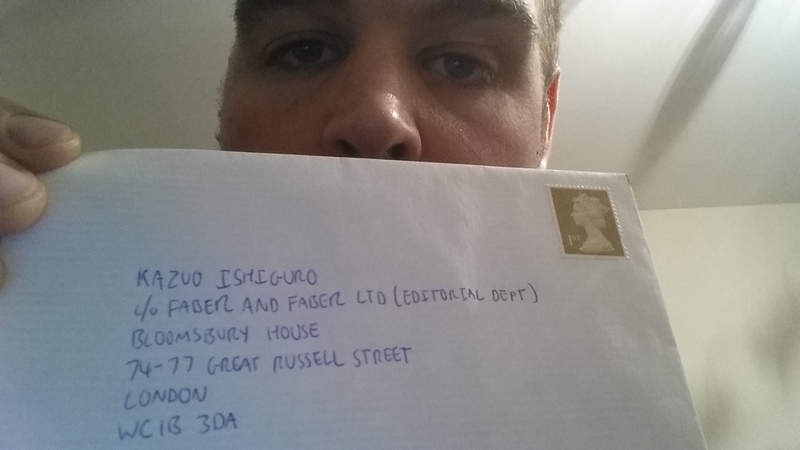 While I’m waiting for responses, I would like to know why publishers ask for copy-and-paste or postal submissions. Is there a compelling reason why these practices still happen? A favour from the blogosphere. Hark – an unscheduled entry! Yesterday, I launched The Purple Spotlights EP with its bespoke domain name. However, it’s come to my attention that not everyone seems able to access the link. I think I’ve figured out the problem now, but I need to test it. To this end, I need a small favour. When you click http://purplespotlights.com, it should redirect to https://gcameronwriting.wordpress.com/the-purple-spotlights-ep/. There might be a short delay while this happens. Let me know whether everything’s hunky-dory for you, or if it won’t load. In which I launch my spoken word recording, The Purple Spotlights EP. I’m today launching my debut spoken word recording, The Purple Spotlights EP, featuring four poems on the theme of friendship: some long-term and certain, others transient and complex. It’s available from on 7 Digital, Amazon, iTunes and Spotify, and many other outlets. Head to PurpleSpotlights.com for samples. Although I started as a prose writer, I soon built up a collection of poems. Some of these run to more than 100 lines and many publishers will not accept work of this length, so an audio recording seemed the ideal format. In February, I attended a masterclass in Edinburgh with professional performance poets, and that prompted me to turn the idea into a reality. I expected the distribution to be difficult and making the recordings to be simple. I’ve talked before about my previous interest in radio and music production, so I drew on some of that experience. However, the production was tricky as the microphone picks up a lot of unwanted noise that needed to be removed. I’ve also previously discussed my lack of design skills, so I knew I would need assistance with the cover. After some research, I discovered Isaac Lemon here on WordPress, and he’s since moved to Lemon Drop. He quickly created the striking mountains design, which looks fantastic next to other recordings. One of the few disadvantages of releasing work online is that there’s no physical product to sell at live gigs. However, if The Purple Spotlights EP proves a success in the long run, I would consider making it available on CD, as an e-book, or as a paper pamphlet. Thursday 14 April, 6:30pm; Masterclass Showcase, Scottish Poetry Library, Edinburgh. Monday 18 April, 7pm; Hotchpotch, The Tinsmith, Dundee. Wednesday 20 April; Write Stuff, 1:30pm to 7pm.